Though I left the Russian Church decades ago, I have always respected how truly spiritual and fearless many of the monks and hierarchs have been in criticizing the demonic forces that assail men in these dark days. I believe that the centrality of podvig in traditional Orthodox Christianity gives these men the spiritual insight and steadfastness so lacking in most of Western Christianity, especially since Vatican II. Such a loss for us. I address that “recognition” of orders in the linked story about Joseph Julian Overbeck. The Russian Church began to offer a Western rite in the nineteenth century. The Patriarchate of Antioch is the other Orthodox Church to have a Western rite. I don’t think that it is as old, but I suspect that it is bigger, at least in the Anglosphere. It is odd to think that the Arabs, who have suffered dhimmitude for thirteen centuries, have not succumbed to parochialism. They as well as the Copts are extraordinarily evangelical when they are allowed to be. If it were not for bans on proselytism and apostasy laws in the Middle East, I suspect that they would have succeeded in converting most of their ethnic peers to the faith. In the West, they have no such restrictions, and they are doing good work. As far as Rome goes, I am quite pleased with Anglicanorum Coetibus. I just wish that the return of the Church of England to the apostolic faith would be corporate rather than piecemeal. A century ago, that seemed possible. Alas, no more . . . Very timely post for me. I am a continuing Anglican in the Traditional Anglican Communion (no connection other than an historic one to Canterbury.) I am in the process of converting to the Anglican Ordinariate. I had no idea there was a Western Rite in the ROCOR. Some of the priests in the Anglican Continuum claim that a few generations ago, the Orthodox recognized the validity of Anglican Holy Orders and that Orthodox Christians were allowed to take sacrament at Anglican Churches. I don’t which group of EO they are referring to. Yeah, nothing new here. We’ve understood for a long time that dogs are remarkably good (better than we are) at reading body language. Back to your objection, though . . . I do not think that the cause of this fastidiousness is mysticism but rather the essential Jewishness of Orthodoxy. We are not simply orthodox, but we are also orthopractical. We not only uphold correct belief and correct praise but also correct practice—orthopraxis. This traditionalist way of life recognizes the value of the rubrics, canons, sacred arts, and even popular pious traditions in cultivating a life oriented (pardon the pun) toward Christ—including ad orientem devotion. The entire prescribed Christian life is an organically evolved, unified, and ordered regimen to educate us to walk as children of light. Now, the obvious danger inherent in traditionalism is the tendency toward not legalism, in my opinion, but its sister vice Pharisaism—where one’s devotion to the diet becomes more important than the health of which it is the means. That is a real danger, and it is for this reason that so much of our wisdom stories and sayings have to do with Pharisaism. 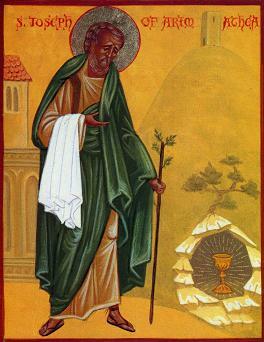 Indeed, in the lead up to Lent, we contemplate the parable of the Publican and the Pharisee for a whole week. A multitude of sayings from the desert fathers warn against Pharisaism in its many species, as well. We are wise to remember that the sabbath was made for man, not man for the sabbath. We must guard against venerating the form at the cost of its purpose. Nonetheless, the Latins have forsaken all deference to tradition. They have traded obedience to the apostolic way for obedience to the current hierarchy (and even that is true only of the “good” papists). They do not even begin to consider the importance of ad orientem worship or anything else in their ancient heritage. They have gone the opposite path from Judaism—that of spiritualization. Having reckoned that they know the reasons behind pious practices and laws, they feel free to dispense with them. This reminds me of Chesterton’s story about a fence found on a piece of property. If the modernist does not know why the fence is there, he wants it removed, whereas the traditionalist responds that he may possibly remove it only after he has figured out why it is there. Our tradition is greater than our understanding of it, and we ought not to alter or to disregard it casually. The disaster that befell the Latins following the Second Vatican Council should serve as a warning for everyone. As far as the orientation of temples in particular goes, we must work with what we have. When Orthodox Christians purchase an existing structure for their temple, they sometimes have to forgo proper orientation, but they do not ignore the canon. Sometimes, such important considerations are eclipsed by other ones, though they would correct it if they could. When they get enough funds to rebuild the temple or to relocate, they construct the temple appropriately. By contrast, the Latins have routinely disregarded properly oriented temples for centuries. Situational aesthetics and convenience trump orientation. Ad orientem arrangements are a quaint historical note for them and nothing more. The same disregard for the past can be seen throughout the Roman Church; like its reformed daughters, it is often a reductionist religion. I fear I have inadvertently given offense. Please, notice the subject of the hypothetical clause—”an Orthodox Christian.” He is the one who will feel depressed. That is to say, the “depression” to which I referred is specific to an Orthodox Christian who visits an average Roman Catholic parish. I was not referring to the piety or reverence of the Roman Catholic celebrant or his congregation. I had in mind certain specific things in current Roman Catholic practice that are . . . . well, distressing. I find it distressing beyond words to worship at an altar where the priest stands on the other side and looks out at the congregation during the Anaphora. I must close my eyes in order to endure it. It is a heavy burden to my soul to open my eyes and behold female acolytes serving at the altar. Anyway, I know that Romans Catholics may think me eccentric is my response to these things. It has to do with cultural expectations, and my own expectations are those of an Eastern Orthodox Christian. If I have continued to give offense by these remarks, I do beg forgiveness. I am not one of those embarrassing Orthodox who mindlessly pretend—in spite of massive evidence to the contrary—that the Roman Catholic Church is devoid of grace. And moreover . . .
* The terrible, terrible music that the 1960s-1990s American “hymnographers” foisted upon the long suffering people in the pews. The music reminds me of Benji soundtracks. Awful and unworthy of the mass, indeed! John Foley, S.J., a pox be upon him! * Not once, not twice, but dozens of times have I had to listen to revamped Simon and Garfunkel pop songs, pieces by Beethoven, and even Broadway tunes as the melodies for saccharine “religious” lyrics at masss. And not just in the U.S. but also in France and the U.K.
* The “Hosanna” chorus from Jesus Christ Superstar sung as the introit on Palm Sunday. Seriously. * At a Christmas Eve mass once, I saw a “Eucharistic minister” woman (wearing too tight frumpy mom pants, but I digress) *kick* a fallen wafer to the side of the aisle after she dropped it during Communion. A deacon eventually came over to pick it up and eat it. Shameful. I can go on and on and on. Egregious abuses are not hard to find; they are woefully normal. I wish the poor folks in the new liturgical movement all the best; they need it. If Roman hyper-rationalism can cause legalism, then so can Eastern mysticism (do I misunderstand the East? I’m pretty ignorant of Orthodox basics.). For example, I hear some talk of Eastern “horror” upon seeing that Papists don’t face East when praying. “It is very likely that the new Pope will be Italian, as before John Paul II”: it is the prediction given to public television Vesti 24 by Metropolitan Hilarion, head of the Department of External Relations of the Moscow Patriarchate. ... “I hope that the new Pope is a traditionalist,” he concluded. You present a worthy argument, and I am not confident in my answer. I am not a priest and have no seminary or monastic formation. However, based on my own experience, I would say that the Orthodox approach to confession is pastoral rather than juridical. Of course, in sin, we transgress God’s law. In the covenant with the Hebrews, there is law—the Law. It is a legislative blueprint for a civilization. Scholars dispute exactly what Jesus meant when he said that he came to fulfill the law rather than to destroy it, but the historical testament of the Church is that the focus of the Christian life is not on checking boxes to make sure that you remain in the confines of what is acceptable to God but rather on attaining perfection by allowing God to unite you with him. Following the rules is merely the most basic step in this process, as the aim is to conform to the rule maker rather than the rules. So, divine law remains—it is simply an explanation of the way we are and how we are to live in the world—but it does not constitute the purpose of life. Legalism is not wrong because it acknowledges the law; it is wrong because it trains people to see the law as an end rather than a gift—a tool—in the struggle to become Christlike. And let me defend “legalism”—and even the poor old Grand Inquisitor—for a moment. Most people, at least in such diseased societies as ours, need a strong emphasis on law. For we are immature, like the Hebrews of old, surrounded by pagans and drenched in wickedness. As Bruce Charlton notes, theosis is far off the radar for most people, and it is somewhat embarrassing to speak of it (due to us, not in itself). I see his and the nasty cardinal’s point. Nevertheless, God has given us his Word and his Spirit, and the Lord of Hosts does not suffer the soft bigotry of low expectations. Even in Sodom, righteousness was possible. In sordid Rome, the saints shone brightly. Legal reckoning needs to be complemented and directed by a clear view of the higher aim—an aim that Jesus the Christ makes possible even to contemporary Americans. That is what I mean by pastoral—the shepherds of Christ’s flock have as their main job not to rule justly but rather to keep the flock from danger and to herd it safely home to the master’s fields. As such, confessors need to know the territory. They must have knowledge of potential dangers (wolves, chasms) as well as the requisites for the health of the flock (springs, proper grazing land). For this, a proper knowledge of morality is necessary. This is the real value of moral philosophy for clergy. However, they need not know the exact chemical make-up of every watering hole. They do not have to know the botanical classification of every forb in the field. Such things do have value; knowledge is a good. However, to fixate on the details is to ignore their primary responsibility, which is the health of the sheep. They are chiefly shepherds, not biologists or chemists. Leave the execution of God’s law, the subtlety of moral theory, and the rest of the arts and sciences to those whose specialities such things are. The pastors need to attend to the sheep. They may make good use of other disciplines’ tools and knowledge, but their proper wisdom consists in something else – something practical and of such extreme importance that God himself instituted their profession. It is interesting to note that there wasn’t a Protestant Reformation in the east. Isn’t categorizing sins necessary for the sacrament of confession & absolution? One must have some idea what must be confessed and absolved. Otherwise, you have the Protestant “general” confession. I’m interested. What, in general, is the Eastern alternative? Just “following God” as Auster puts it? I think that the obsession with knowing one’s spiritual status can be found in the Roman tradition, though it is worse in Protestantism in that those lofty concerns trickle down to every Martin, John, and Henry. Consider the elaborate system devised for categorizing sins and setting indulgences—where daily acts of piety were assigned a particular amount of “days out of purgatory.” Look at the Jesuits’ casuistic tradition—or even the old catechisms. It is not in the Western psyche to rest comfortably with the unknown. The philosophical, analytic tendencies developed in scholasticism cannot rest. That makes for impressive academic output. It also fosters a legalistic spirit in religion—one that, ironically, even the most antinomian of the Protestants share. They are fastidiously legalistic about dismissing the authority of divine law! The entire West desires a formula for how one may be saved. As the Grand Inquisitor argues, the people want to follow, to submit, to rest assured in the teaching of their betters, and the wild, eery unknown to which the Lord sends us in this world is an intolerable defect of providence—but that has been corrected, of course, by the clergy. I suspect that the Western mind thinks that Peter’s keys unlock every door—and the Protestants have further imagined that everybody gets a complimentary set. Is the obsession with surety really “Western” or is it particularly Protestant? I am reading a basic Catholic/Papist apologetic s book and the author notes that this characteristic is Lutheran not Pauline. The Act of Canonical Communion occurred on the feast of the Ascension in May, A.D. 2007. We are approaching the sixth anniversary. Since then, ROCOR has operated as a semi-autonomous jurisdiction within the Moscow Patriarchate, and Metropolitan Hilarion (Kapral) and our bishops attend the episcopal councils in Moscow. The groundwork for the re-establishment of communion had been laid since the turn of the millennium. Critics thought that such should have happened overnight with the fall of the Soviet regime, but they were unrealistic. These things take time. There are Russian parishes that have left ROCOR because of their mistrust of Moscow, but they are slowly returning, year by year, as they see that their fears were unfounded. Eventually, I expect the full integration of Moscow’s parishes abroad with ROCOR, though such will take time. There is much cooperation now. Is there any near term possibility of the Russian Orthodox Church outside of Russia reuniting with the Russian Orthodox Church? I would assume that with the Communists gone, there would be good prospects for this development. I do not know about Collins. Thank you for the tip. I find probability, randomness, chance, and such fascinating, but I am not confident that I understand what they really mean, metaphysically speaking. As far as cosmogonal processes, my mind finds determinism much easier to “digest.” But, as usual, the true path is likely more “anfractuous” (as Kristor has said) than we who value simplicity and easy clarity would like. Complexity looks messy to one who does not understand its order. Perhaps, what is obvious and determinate in itself (and thus to God) appears unintelligible and random to us in our ignorance. Given the nature of our universe and the consequent order that it has become, I think that it is evident that there is a tendency in the very structure of reality to become what it is (unless we invoke something like a demiurge to shape the world as a parallel force). I do not see the need, or the legitimacy, for an argument from chance. As I have repeatedly said, I do not think that there is any causal explanation in randomness except to note that there are observable tendencies in nature. Why these tendencies—these probabilities—exist is one of the objects of natural philosophy. Randomness is not an answer but rather a marker of where research and applied thought are needed. Your explanation of evolution makes sense if I understand it correctly. “Random” radiation levels that cause mutations are part of the orderly whole. They are only random as they appear to us but not in themselves, as forces in a system. The playing out of these forces gives rise to the order that we see. Science investigates what awesome mechanism underlies this movement. It explores the nature of nature and notes how well elements of the world interrelate. To go beyond that is to do metaphysics—and theology. Given the laws of physics and the nature of what moderns call material things, our world is what occurs. The world is a butterfly and the primordial ooze is its chrysalis. Why is there a butterfly toward which the ooze oozes? Because it is good that it is so. Can there be a better, more complete answer? Goetta! I love the smell of it. It is one of the few things that I miss since I permanently became a vegetarian in the 90’s. There is a restaurant in Northside named Honey that sells a vegetarian version, but I have only had it there as part of another dish for dinner. They only sell veggie goetta by itself at breakfast time, and I have never been. I need not pine for good Cincinnati chili, though. My mother developed her own vegetarian chili (Cincinnati style, of course) years ago, and it is excellent. What do you think of “theistic evolution” or “bio-Logos” as advocated by people like Francis Collins? Using an analogy, at work here we have written computer codes that arrive at an (approximate) answer through a stochastic process. We later found that this answer could have been calculated through a deterministic process that required more effort (e.g. solving a very difficult integral). Why can’t life have came into being in a similar way where God is the programmer who could see the outcome but chose to arrive at the outcome through a stochastic process where the “random number generator” could consist of various things such as the physical phenomena that cause mutations. And, of course, the programmer can still intervene in the model at various points where necessary. This would be true for evolution and for events where He definitively intervened e.g. the Incarnation.